Nissan Sunny 2016 is available in amazing offer at Al Shalabi Motors Saudi Arabia. This offer has been advertised at Al Shalabi Motors Facebook page. 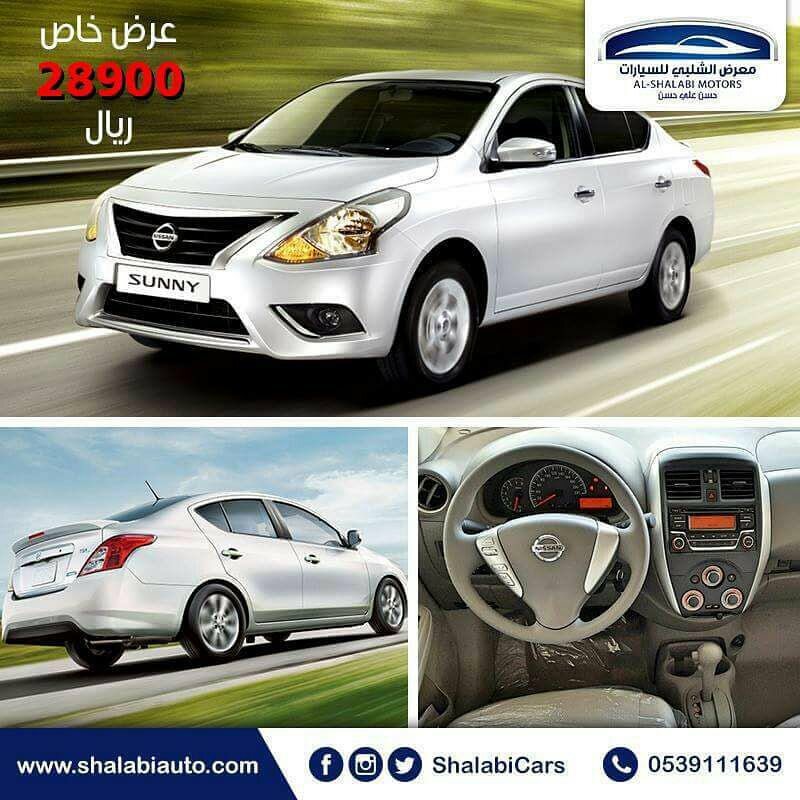 Nissan Sunny S Standard 2016 is now available in 26900 SR at this car Showroom. This car is Made in India and shipped to Saudi Arabia. This offer is valid until 29 December 2016 so hurry up if you want to avail this offer. However this is not advertised at their website (http://shalabiauto.com). There is a mobile number is provided beside facebook post (0539111639) After calling at this number it has been confirmed to us that offer is valid and Nissan Sunny is available at the showroom. فرامل مانع الانزلاق "إي بي أس"